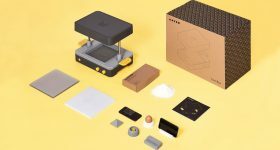 South Korean multi-function printer and 3D printer manufacturer Sindoh has released the 3DWOX 1. 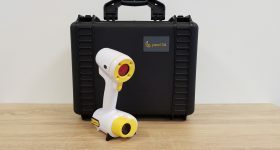 An upgrade from its predecessor the DP200, the 3DWOX 1 boasts a number of new features including a flexible, detachable build plate, and support for third party filaments. 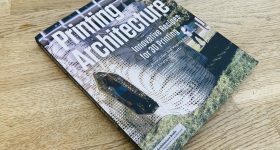 The 3D printer also promises “library noise level” operation, remote monitoring, and update automatic and semi-automatic settings. 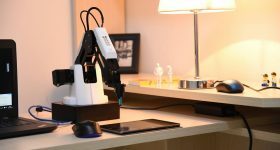 Dubbed “The 1 for Everyone” in this review the 3D Printing Industry engineering team discover how the 3DWOX 1 lives up to its claim. 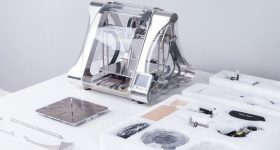 The automated and semi-automated features of the 3DWOX 1 are steps in the right direction for encouraging the adoption of 3D printing. Essential features for user-friendliness, both semi-automatic bed leveling and full automated filament loading on the 3DWOX 1 work well. 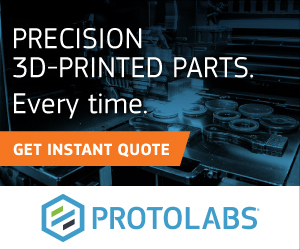 For loading the company proprietary filament, a cartridge is inserted, then the end of the filament aligned as directed. 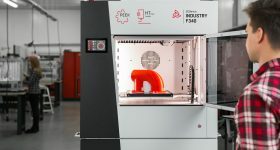 The 3DWOX 1 3D printer then proceeds to insert the filament independently: loading the filament into its guide, heating the extrusion head, and inserting the filament into the extruder until it begins to flow through. After a proprietary 3DWOX filament cartridge is inserted the 3DWOX 1 also automatically detects the material’s profile, indicating its type, color and quantity. Open front of 3DWOX 1 3D printer showing print bed and material loading slot. After material loading, the next step is to level the print bed. In this semi-automated process the 3DWOX performs an analysis of the level of the build plate at several pre-set points. After a few seconds, the in-built screen displays the number/degree of turns needed for adjustment – a nice touch for experienced users. The adjustments are performed by turning two green wheels, found under the front of the bed. The technique is effective, but adjusting can be fiddly depending on the degree of turn required. Green adjustment wheels inside the 3DWOX 1. 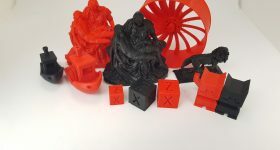 In a market loaded with new material developments, supporting the use of any third party filament is one of the major, and very much welcome, improvements with the 3DWOX 1. For third party filaments, loading works much the same as with Sindoh’s proprietary material, except spools are inserted directly into the cartridge slot without the 3DWOX rotation system. 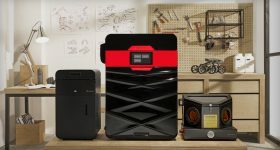 The “Open filament” option must also be selected on the machine, and new material profiles must be created in the 3D printer’s supporting software to inform .gcode generation. 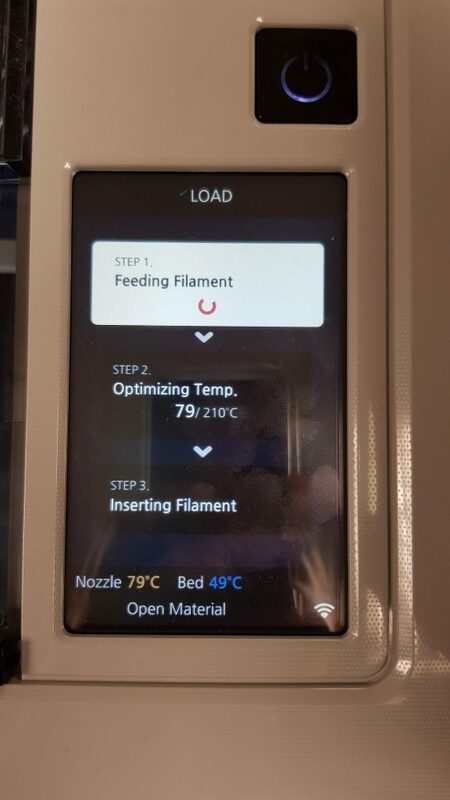 Throughout the course of our team’s comprehensive testing, the filament was successfully changed multiple times with full support of the automated loading system. Slicing software included with the 3DWOX 1 is the 3DWOX Desktop program. 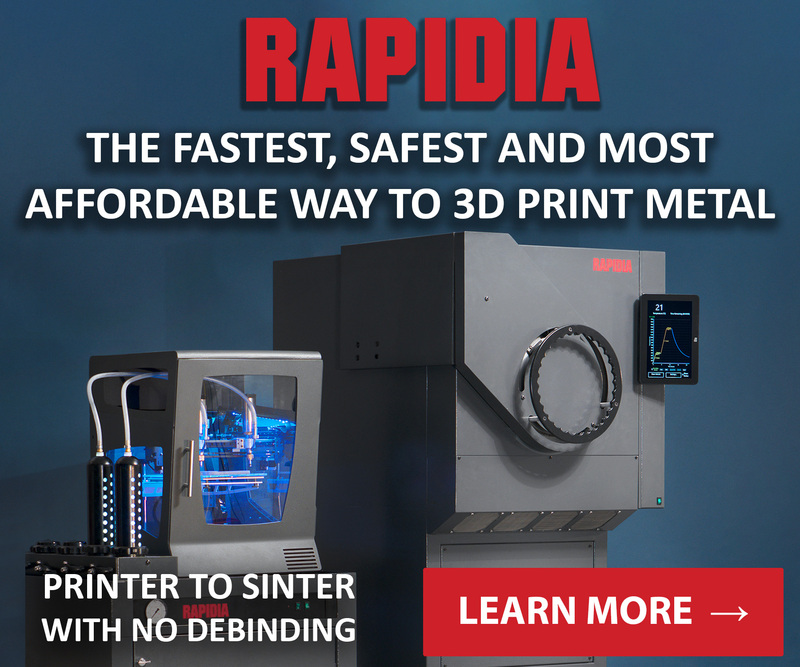 With a similar layout to many other slicers on the market, 3DWOX Desktop is familiar and easy to use. The program is available for use in two modes, simplified and advanced, catering to the purpose of a print job. 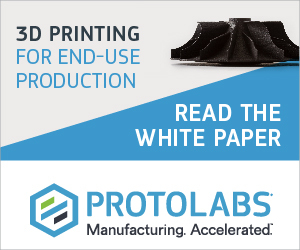 The simplified mode allows for quick-start 3D printing without worrying about specific parameters which affect printing. In advanced mode the user can manage a wide selection of parameters to change and optimize the print. 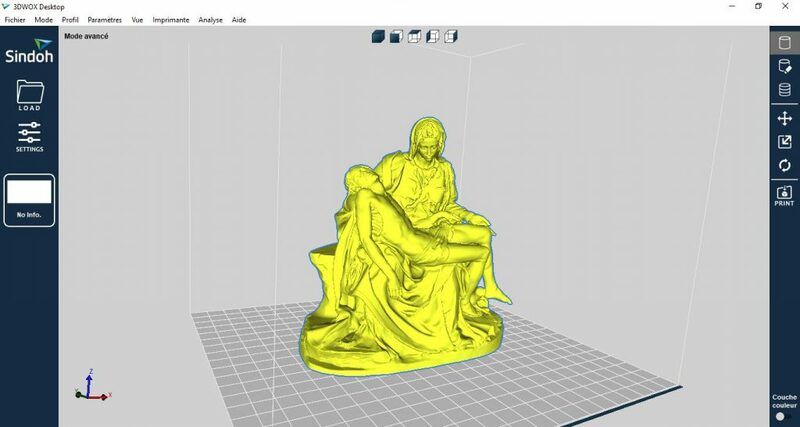 3D model of Michelangelo’s Pietà in 3DWOX Desktop. Pleased with the setup of the 3DWOX 1, the engineering team put the machine through its paces in a number of diverse test 3D prints. All the 3D prints proved to be of a high quality. As expected, the more the layer height decreases, the smoother the finish becomes. There were no issues encountered during the tests. Furthermore even with a layer height of 0.2 mm it is very difficult to identify individual layers, the finish is of very good quality. No layer inconsistencies or artefacts on the print surface were visible. 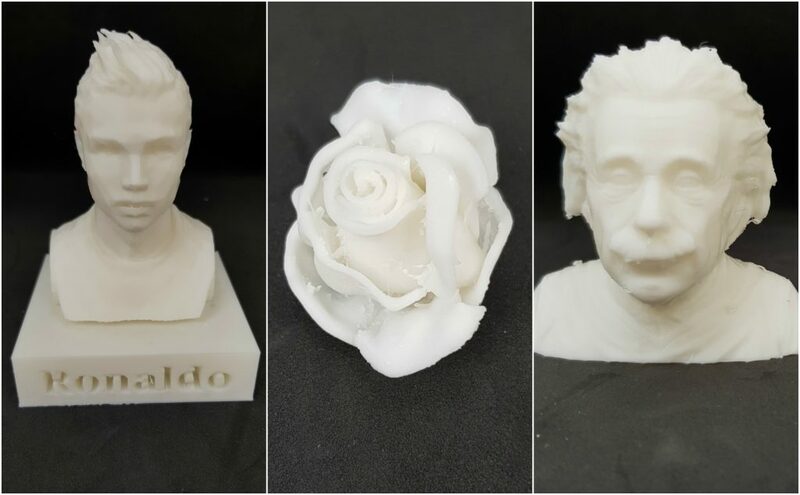 Ronaldo bust, rose and Einstein 3D printed on the 3DWOX 1. 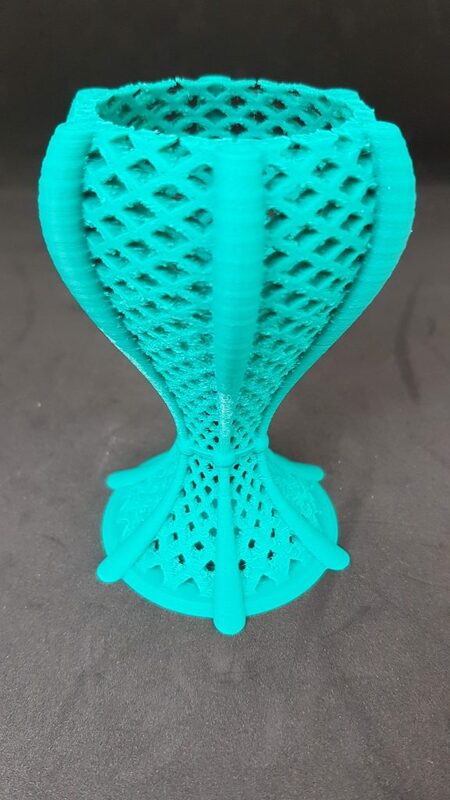 As can be seen from the photo, the 3DWOX 1 has a great retraction capability, and no stringing or residual filament is visible between the sides or the latticework of the vase. 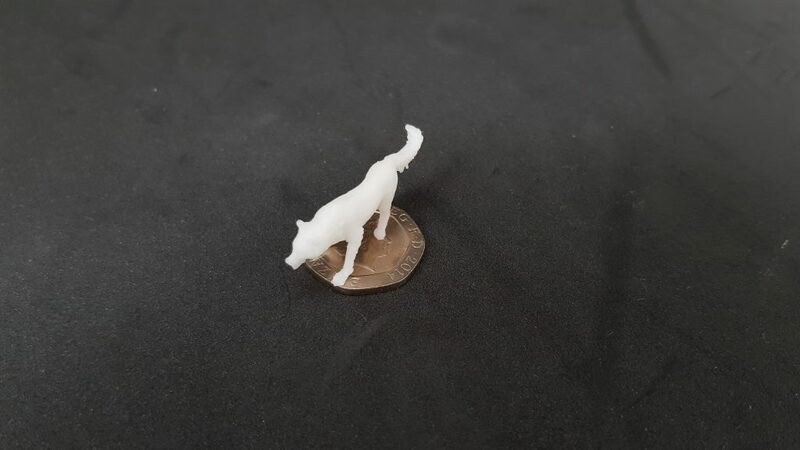 To test the machine’s reported accuracy of 50 μm across the Z axis, the team 3D printed a miniature wolf measuring just 29 mm x 11 mm x 15 mm (L x W x H). Pictured below with a British 20p coin for scale the result is, according to the Engineering team, “stunning,” with a totally smooth surface finish and detail comparable SLA 3D print quality. Z axis accuracy test print. 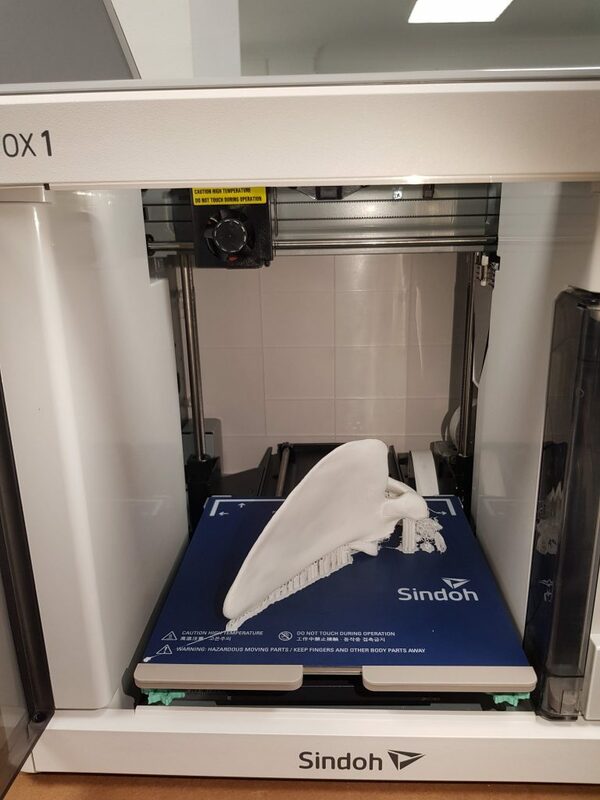 A 3D printed scapula, for use as an educational tool in the medical sector presented a number of challenges to the 3DWOX 1: very thin and high walls, with varying cantilevers. The test’s result however provided an excellent quality part. The top wall is very precise, with a smooth surface finish. 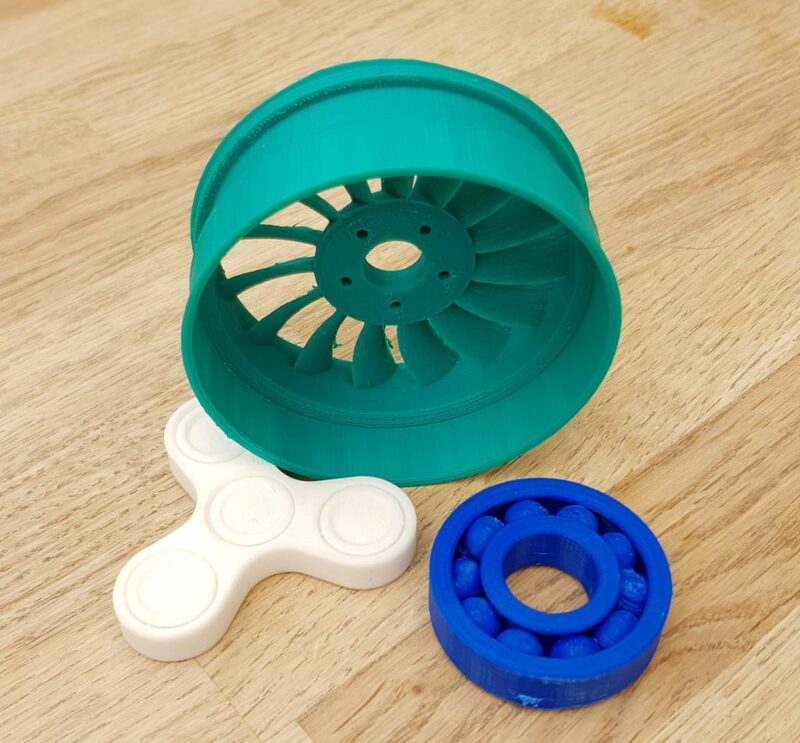 For functional prototyping two test were performed: a 3D printed air wheel (an automotive prototype) and a fidget spinner with moving parts. In the case of the air wheel, the result is very satisfactory, and the part can be directly tested without any finishing. A successful 3D print of the fidget spinner proved that moving parts, even with small gaps in between, can be 3D printed in a single piece without any difficulty. 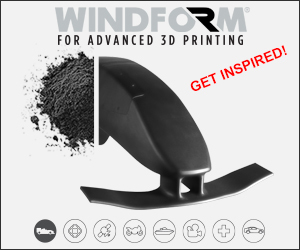 In addition, the 3DWOX 1 proves very capable when printing in ABS (Air wheel, vase, and others) so it is ideal for functional parts. 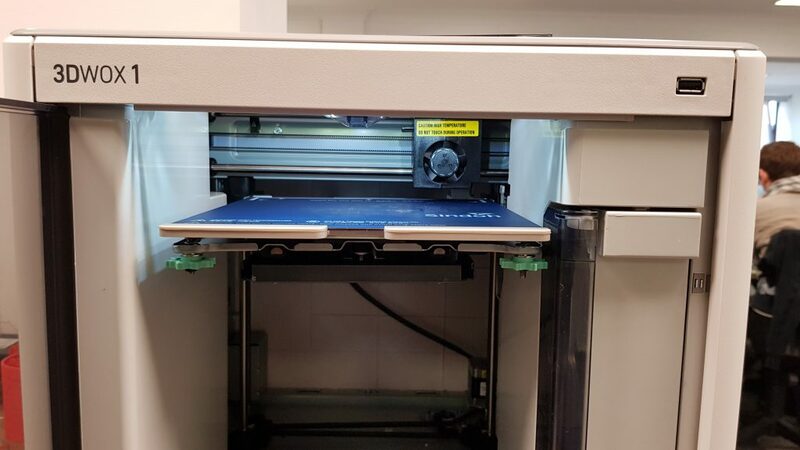 Removal of each of the test 3D prints was made easy by the 3DWOX’s flexible build plate. And the team could easily access the 3D printer’s in-built monitoring camera through the 3DWOX Mobile app. Throughout all tests the 3DWOX 1 lived up to the “library noise level” operation volume, making it a pleasure to use in the office or at home. 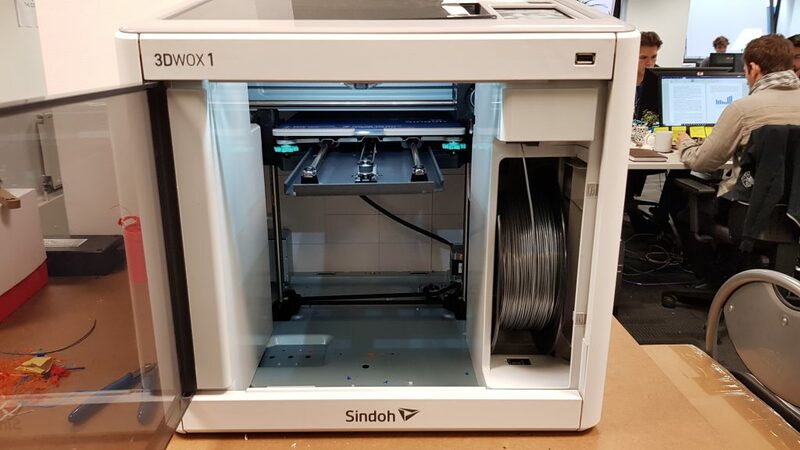 The engineering team’s final verdict on the 3D printer was that the Sindoh 3DWOX 1 is a truly versatile printer that prints with excellent precision and produces very high quality prints. 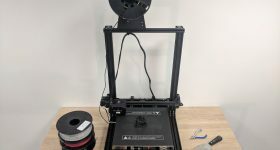 Furthermore, the possibility to use third party filaments is a great update, and allows the 3DWOX 1 to be a really interesting printer for many users, whether they are beginners, enthusiasts or professionals, this printer will satisfy their needs and then some. The 3DWOX 1 is available from authorized resellers around the globe. 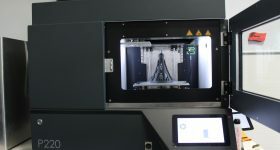 Featured image shows the 3DWOX 1 3D printer.